On 14th Feb 2019 I will be releasing a “new” single. Actually in truth it is an old track, The title track from my first album “Songs for the Heartshaped” from 2008, which is probably one of the most radio friendly things I have done but for one reason or another was not picked for a single release at the time, so to bridge the gap between my last record and the next “Heartshaped” will be getting the digital single treatment world wide. It is a low fi pop song about being a hopeless romantic, written with the kind of rose tinted naive view of love that only my younger less experienced (less jaded) self could have written and its quite different from my recent output production wise (Thank you Polly Hewett Music) and my voice has matured somewhat since then but a cute little pop tune all the same. 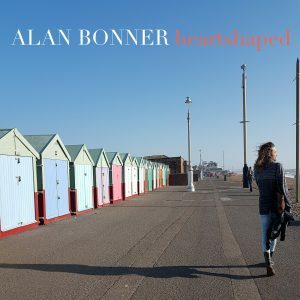 Cover art photo taken by my ma Sally Bonner on Hove seafront a couple of winters ago. Video montage by my musical bestie Paul Diello.